We don't need to tell you that GDPR compliance is of the utmost importance to every European business right now, and we've tried to make it integrate as seamlessly and painlessly as we can. That being said, if you have any comments or requests you can reach us at support@responseiq.com. This option is OFF by default. As we are the processor we give you the option to turn this mechanism on. 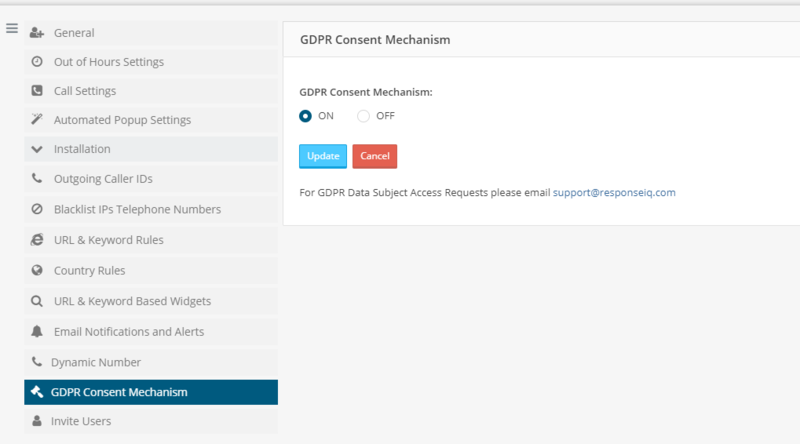 Go to Settings > GDPR Consent Mechanism - After turning ON and clicking update you'll automatically be taken the customisation area. Note, these screens will only appear if you turn on the consent mechanism by following the instructions above. Widget as normal, someone enters their normal and clicks 'call me now'. This screen will appear. 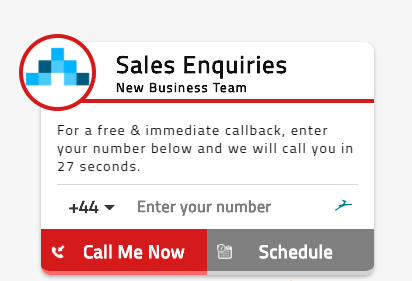 If that lead clicks 'Do Not Call' they are presented with a final chance screen. If that lead clicks 'Do Not Call' again they will return to your page with no further messages and of course if they agree, the call will go through. Both of these screens can be edited and changed in the same way as the standard popup. This allows you to choose the tone of your consent message and ensure it adheres to your company standpoint. For all GDPR related Subject Access Requests please email support@responseiq.com. Other information on how GDPR has affected your ResponseiQ experience can be found here.